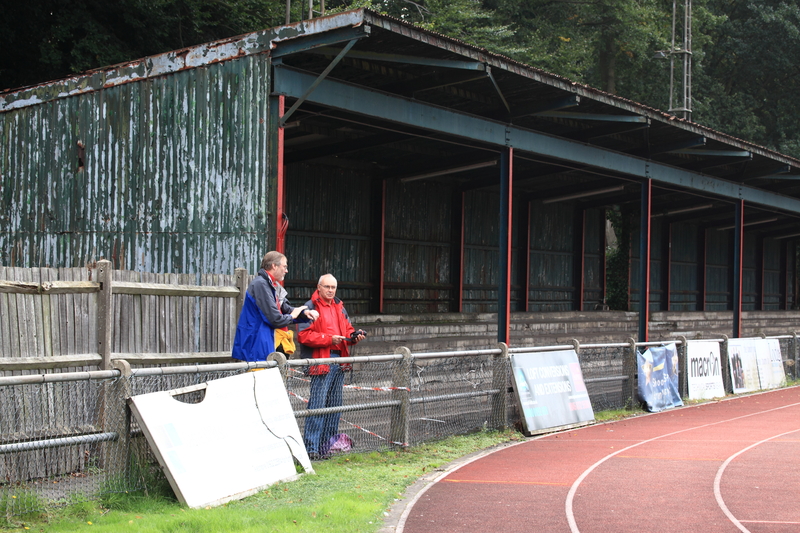 Stompond lane has been the home of Walton and Hersham, who now play in the Ryman South division, ever since I began watching the club almost 50 years ago. There have been some famous moments. Walton have played FA Cup first round games here in front of thousands of spectators including against Exeter and Brighton, managed then by Brian Clough. Walton also won the Amateur cup in 1973. Things however have been declining since then almost consistently. Far from being one of the best non-league clubs they are now one of the smallest in crowd terms at their level and things may get even worse. The council plan to redevelop Stompond Lane and force Walton and Hersham to share with their neighbours, also in Ryman South, Walton Casuals. This plan has not been met with joy by either club however statements only a week ago suggest that this plan to redevelop Stompond Lane is becoming fairly final. I do not know enough to really make an informed decision here however one can see a number of aspects that make some sense. The crowd base of both clubs is around 100 each and does this warrant two individual football grounds in Walton? 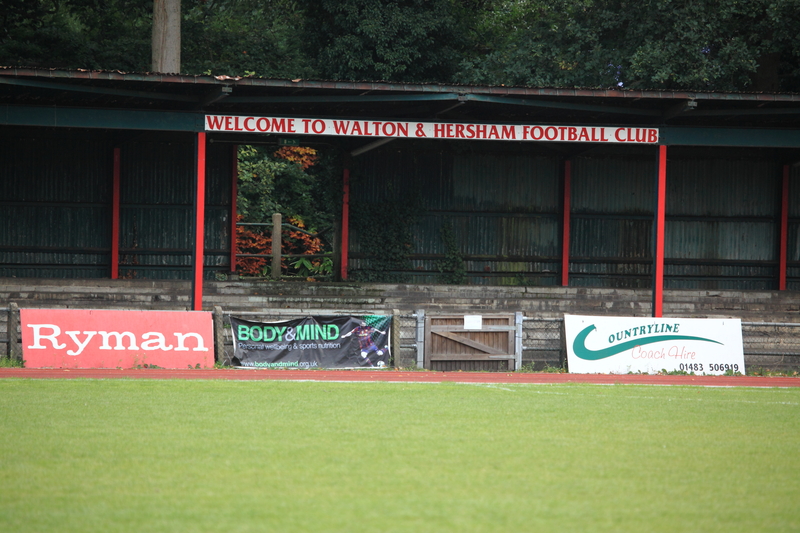 The population of Walton, which is where the club is based, a few miles from Hersham, in 2011 was 24,137. Neither ground is perfect, although each has character and reasonable parking. 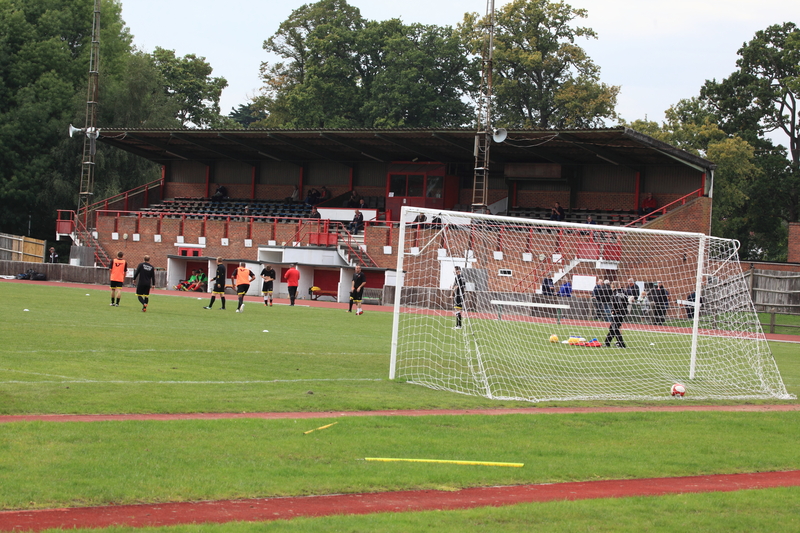 Yesterday I visited to see Walton play Ramsgate. The crowd was 102. Down at Walton Casuals yesterday the crowd was 163 boosted somewhat by the good start Casuals have had to the season where they top the league. What is currently proposed is that the two clubs share Walton Casuals ground. What might equally be proposed is that these two clubs if this happens might be candidates to merge in the future. Should either of these things happen? Stompond Lane is becoming very run down. The whole ground, and I love this ground, is becoming almost untenable. The clubhouse looks sad and jaded and does not invite visitations. 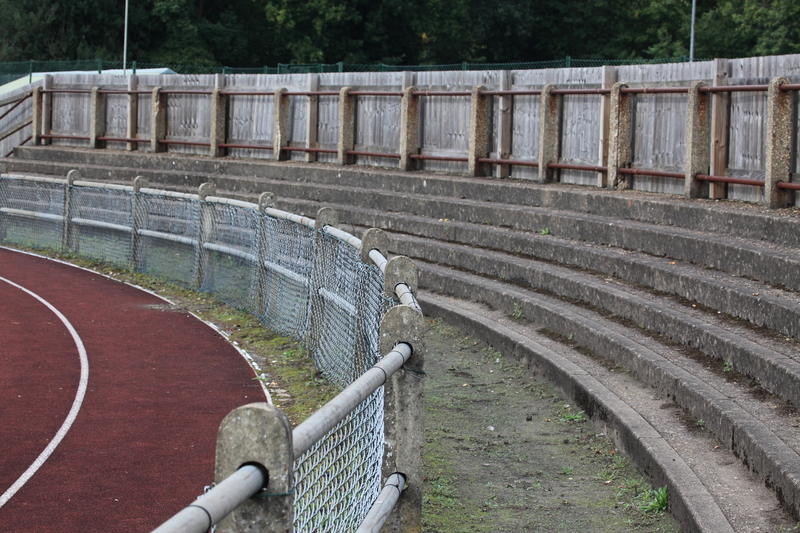 The main stand has a huge number of seats missing, plastic bucket seats, that are attached to wooden benches. Many have been removed. The stand opposite the main stand had warnings yesterday that it could not be used. 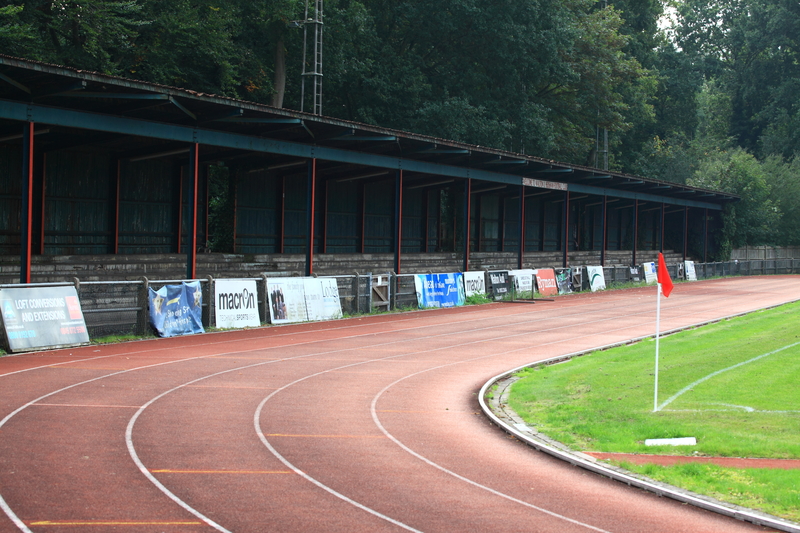 When this is combined with the fact that no-one stands behind the goals, as the pitch has a running track around it, meaning that behind the goal is almost placing spectators in the centre of the town, the net effect is that this is now a one sided ground with little or even zero atmosphere. The council have recently introduced parking restrictions on Stompond lane, meaning that 2 hours is the maximum one may park before being fined some hideous amount. Realistically most fans spend nearer 3 hours at each game. This means that parking is now effectively limited to the club’s car park, which is ample and fine for the kind of recent crowds, but gives little hope that the crowd base if ever improved would have anywhere to park. Should the clubs ever consider amalgamation, they would concieve a club that had a fan base at lowest of around 200 and potentially more like 250-300. This is moving towards the size needed for Ryman Premier football. Although Walton Casuals sit top of the league, should they get promoted one wonders whether things will be in any way successful or lead to an immediate return to this level. The clubs might consider Inverness, who before joining the Scottish football league had three separate clubs. They all combined and have risen as of yesterday to actually top the Scottish Premiership. Maybe this kind of success might not happen in Walton but maybe also it should be considered. Who should vote on this? Certainly not myself, a visitor now maybe 2-3 times a season, but the 263 fans who do come week in and week out. A few here however just to introduce the novice to the ground that is and was Stompond Lane.